Beginning on October 31 at 7 a.m., kids 12 and under can get a free “scary face” pancake at any of the brand’s participating locations. 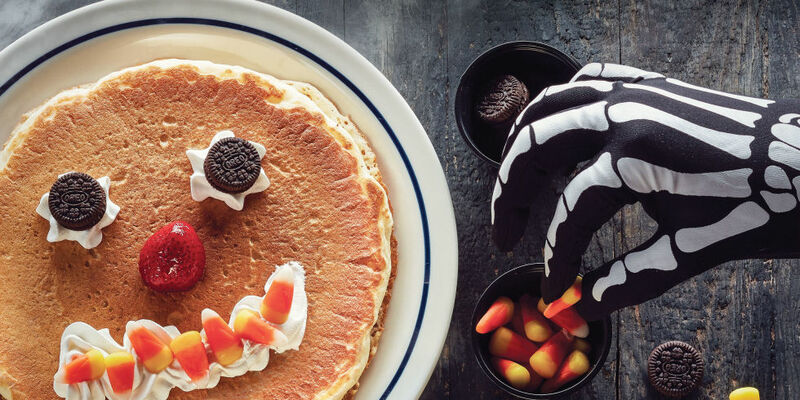 The pancake in question is one of IHOP’s signature buttermilk pancakes topped off with mini Oreos, candy corn, whipped cream, and a strawberry arranged to look like a spooky face. The great thing about the deal is that no purchase is necessary for any kids hoping to cash in on it, though the deal is only good for one pancake per child, so you may wind up paying for a few extras depending on your child’s appetite. IHOP will be giving out free scary face pancakes all day on Halloween until 10 p.m., so you better get ’em while they’re hot. You can head to IHOP’s website to check and see if a restaurant near you is participating.